University of Southampton tests 5G technology with consumers for the first time in real environment. The University of Southampton is leading a consortium of industry pioneers to launch a 5G testbed for urban scale trials of next generation internet services across European cities. The consortium, known as the FLAME project, will test 5G technology with consumers for the first time in a real-life environment, with 100s of people taking part in trials throughout 2018. 5G is expected to transform next generation networks by providing faster access to media and new services such as augmented reality. FLAME will initially launch in the smart-cities of Bristol and Barcelona, with plans to expand to further locations across Europe over the course of the project’s three-year lifespan. The programme will allow players from creative industries, telecommunications industries and smart cities to run 5G trials on an urban scale that improve experience for consumers, reduce the complexity of media service development and reduce the cost of delivering personalised on-demand content. The project’s coordinator Michael Boniface, Technical Director at the University of Southampton IT Innovation Centre, said: “FLAME’s urban scale 5G testbeds provide unique opportunities to explore the acceptance, viability and performance of 5G networks. By focusing on media services the benefits of 5G can be experienced by consumers whether they are having fun, learning or just exploring the world. At the heart of FLAME is a ground-breaking service delivery platform that uses software-defined infrastructures being rolled out across smart-cities. 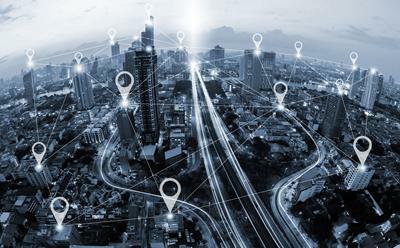 The platform’s advanced networking and service management capabilities allows media services to be dynamically placed and connected in locations where consumers’ need them. Dirk Trossen, FLAME’s Technical Manager and Senior Principal Engineer at InterDigital Europe, said: “FLAME’s unique technologies set this test bed apart from previous efforts. It will provide first insights into the possible transformation of media services through deep integration with the programmable compute and networking infrastructure at city scale. The initial trials, starting next month, focus on new media production and delivery workflows enhancing audience generated content for broadcasters, augmented reality gaming, personalised augmented reality city tours, and personalised access to mobile media. The University of Southampton is leading a consortium of 12 partners across six countries to launch FLAME as part of Horizon 2020, the largest ever European funding programme for research and innovation.